As the marketing landscape evolves, it is important for Procurement Professionals that help oversee marketing spend categories to stay up to date on the latest trends and industry news. Due to the demand for industry resources there has been an increase in marketing related news sources and blogs recently. It is often overwhelming and difficult to know which of these sources can provide the most relevant and accurate information. 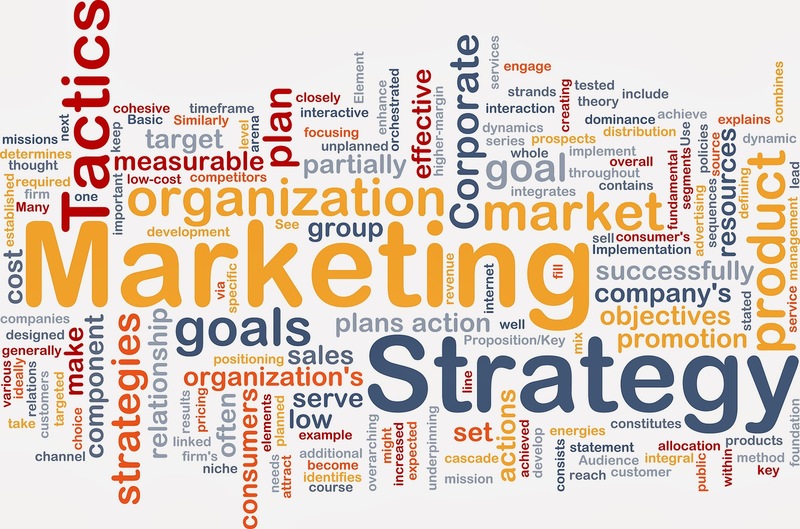 A previous post on The Strategic Sourceror titled, "A Procurement Professionals Guide To Keeping Up with Marketing Trends", outlined various resources available to Marketing Professionals in order for them to stay on top of the latest trends and news in the marketing space. As a continuation of that post, we would like to present you with additional resources available that are also reliable from a market intelligence and research standpoint. These resources are tapped into by Marketing Professionals; therefore, for those Procurement Professionals that serve as decision support for Marketing Groups, these resources have proven useful for information on marketing strategy, trends, news, and more. CMO.com is an Adobe resource for Chief Marketing Officers (CMOs) and other senior marketing executives to stay up to date on marketing news and trends happening in the digital marketing world. CMO.com publishes original and editor reviewed content from a variety of sources covering insights, news, features, and other information important to industry executives. Through its offering of online content, two weekly newsletters, and a library of resources, CMO.com provides a wealth of information and resources for Marketing Procurement Professionals to access. Recently, in conjecture with Adobe's CMO.com, The Wall Street Journal launched their own online resource for Marketing Professionals called CMO Today. Combining original WSJ content and editorial work from CMO.com, Marketing Professionals are provided with a marketing content-specific resources within the notorious business news source. CMO Today offers the latest news and trends surrounding social media, agencies, media, and more, as well as access to the latest business and technology news available on WSJ.com. MarketingProfs.com offers Marketing Professionals with news and how-to articles, as well as training workshops, conferences, and webinars surrounding all of the latest trends in marketing and general marketing know-how. This site publishes content daily from a variety of sources concerning a number of marketing categories, including advertising, social media, public relations, strategy, and more. Inc. is a magazine for entrepreneurs and established business professionals, and Inc.com is the online-version of this resource. Inc.com provides the same content as its magazine counterpart, including content surrounding startups, innovation, finance, and emerging business trends. Known for their Inc. 5000, a list of 5000 of the fastest growing companies, Inc.com is a great resources for the latest in entrepreneurial news and growing business, marketing, and technology trends. The Association of National Advertisers (ANA) was established over a century ago as a platform for all members of the marketing community to collaborate and share insights. With members from both the agency and client-side of the marketing relationship, Marketing Professionals are able to gain an understanding of best practices and trends through ANA published content. ANA publishes agency-related content, general marketing news, marketing procurement content, research reports, and insights to view on their website, as well as a quarterly magazine for members. The American Association of Advertising Agencies (4A's) is a national trade association focused on advertising agencies in the US, providing member with the latest news, reports, and important resources to make informed marketing decisions. Through their offering of the 4A's blog (Straight A's), daily e-newsletter, agency news, press releases, and more, 4A's offers members various resources for marketing content. Also to note, 4A's hosts numerous events, such as workshops and conferences, through the country for Marketing Professionals to gain and in-depth understanding of various topics. As Marketing Procurement Professionals look to stay ahead of the marketing curve and continue to support Marketing Groups, it is important to know what resources are available and which can be the most beneficial. Along with those sources provided in Part I of this post, we at Source One find these to be some of the most informative resources for industry related news.